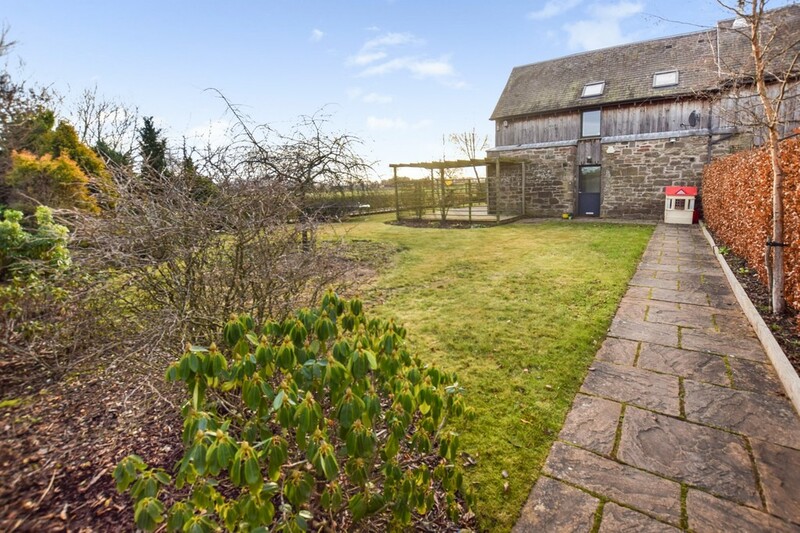 We are delighted to bring to the market this deceptively spacious 4 BEDROOM CONVERTED STEADING located within the picturesque village of Longforgan. The property has been exceptionally well maintained and offers well proportioned accommodation over two floors comprising: entrance porch with cloaks area and W.C., reception hall, open plan and spacious lounge, dining area and kitchen and separate utility room on the ground floor level together with four bedrooms, the master of which is en-suite and a family bathroom on the first floor. 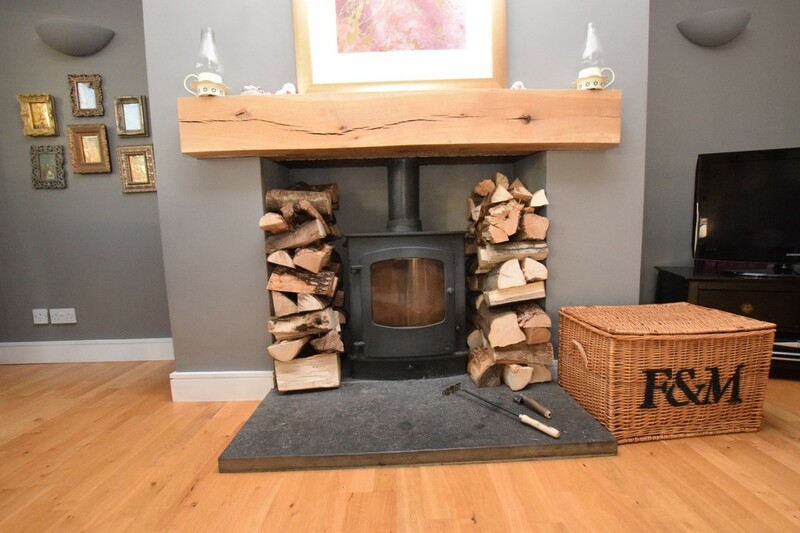 There is LPG gas central heating and double glazing throughout together with a wood burning stove within the lounge area. 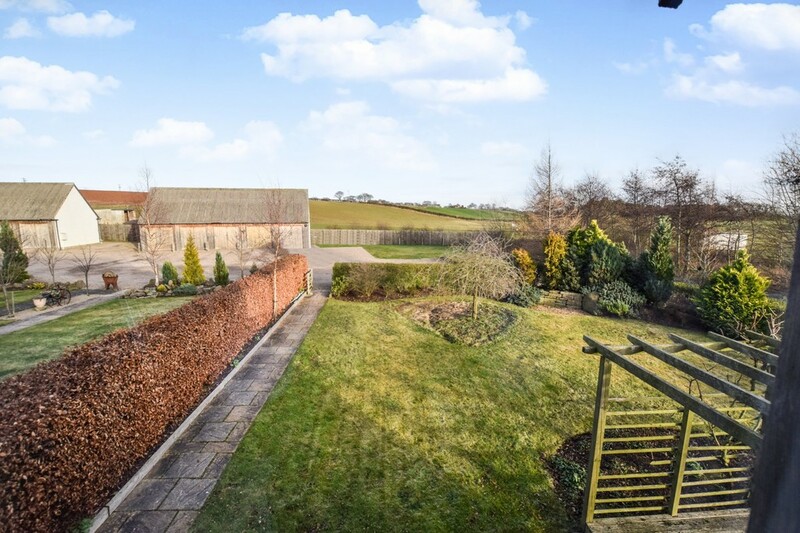 The property is located on the corner of the development and therefore benefits from a sizable enclosed garden. There is also parking and a garage to the side of the property. 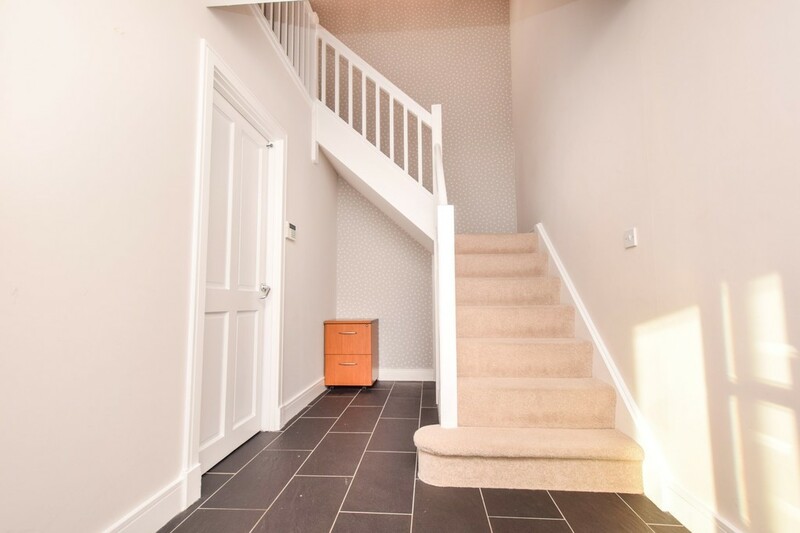 The garage has a mezzanine level providing additional storage space. EPC RATING "D". 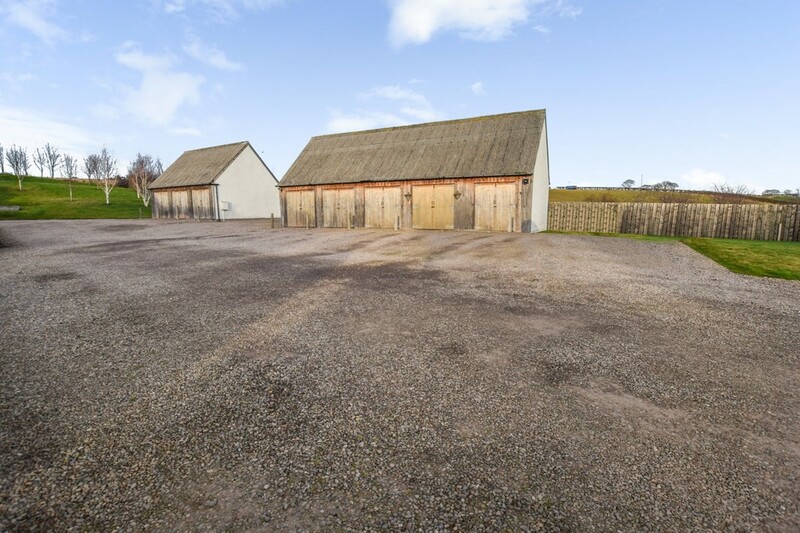 Please note that there is an opportunity to purchase an additional area of land which is located behind the garage area and is enclosed with fencing and is laid to lawn. This land may be suitable as use for a small paddock if required. 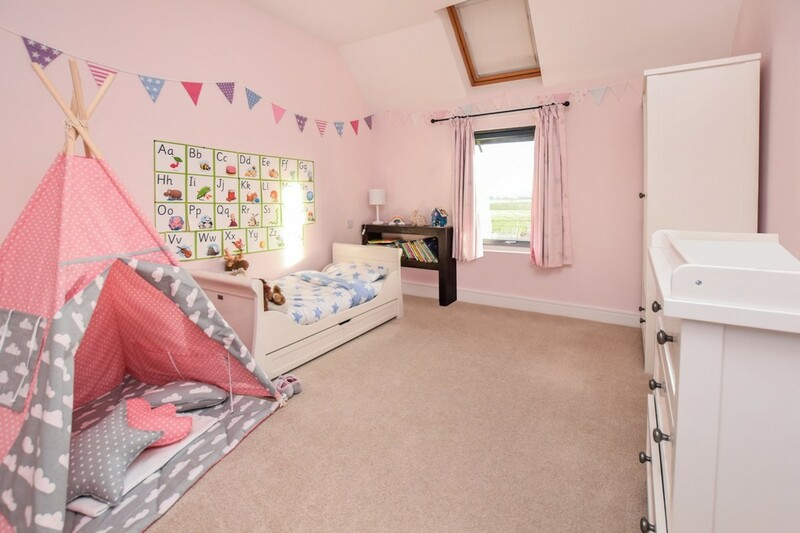 Early viewing is highly recommended to appreciate the quality, quantity and location of accommodation on offer. AREA The picturesque conservation village offers a range of local amenities including a shop/post office, reputable primary school, sociable bowling club, community hall, play park, church and Village Inn. Secondary schooling can be found in the nearby cities of Perth and Dundee. 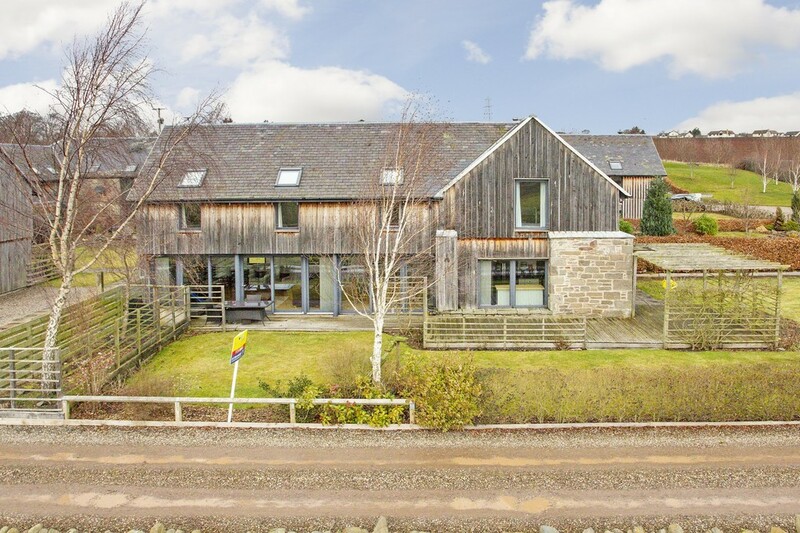 The village is ideally placed for the commuter with the national motorway network 15 miles away in Perth. The M90 links to Edinburgh while the M9/M80 links to Stirling and Glasgow, and the A9 trunk road leads to Inverness. Ninewells Hospital and Medical School are within easy reach and Perth Royal Infirmary lies approximately 20 miles to the West of the village. Abertay and Dundee Universities, Dundee Airport and Technology Park are all within close proximity. There are mainline railway stations at Dundee and Perth. ENTRANCE PORCH 10' 6" x 5' 6" (3.2m x 1.68m) A part glazed door provides access to the porch where there is a cloaks area and recessed shelving for additional storage. Tiled floor covering. Inset halogen spot lights. 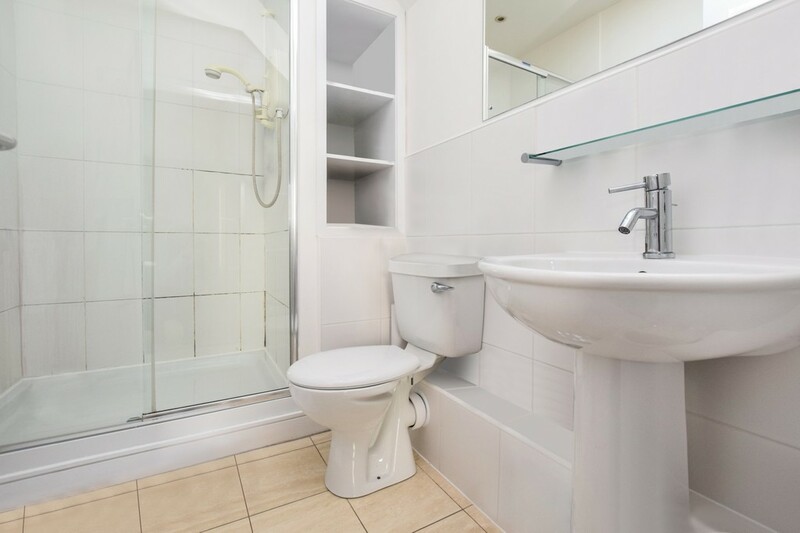 W.C/CLOAKROOM 5' 6" x 4' 9" (1.68m x 1.45m) Fitted with a white suite comprising: W.C. and pedestal wash hand basin. 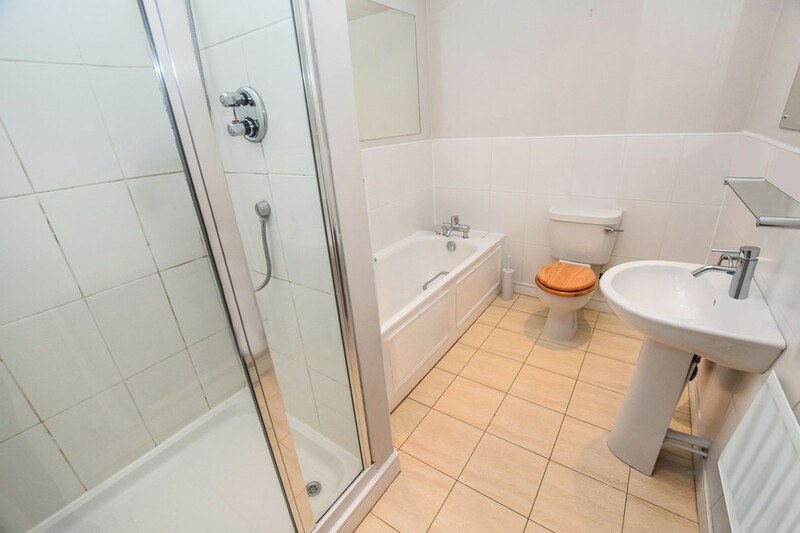 There is splash back tiling to the sink and complementary tiling to the floor. Radiator. Inset halogen lighting to the ceiling. RECEPTION HALL 15' 9" x 12' 0" (4.8m x 3.66m) A very bright and welcoming reception hall providing access to all accommodation. Tiled floor covering. Inset lighting to the ceiling. Radiator. Mains smoke alarm. Under stairs storage area. UTILITY ROOM 11' 2" x 3' 1" (3.4m x 0.94m) Accessed from the reception hall, the utility room is fitted with a range of wall and base units with contrasting work surfaces and tiling between. Stainless steel sink and drainer unit. Space and plumbing provided for washing machine and tumble dryer. Tiled floor covering. Radiator. Inset lighting to the ceiling. Glazed door providing access to the rear. OPEN PLAN LOUNGE/DINING/KITCHEN 51' 1" x 17' 11" (15.57m x 5.46m) An exceptionally bright and spacious public room which has an abundance of natural light provided by floor to ceiling windows with south facing views over looking the surrounding countryside towards the River Tay together with three additional windows to the rear of the property. 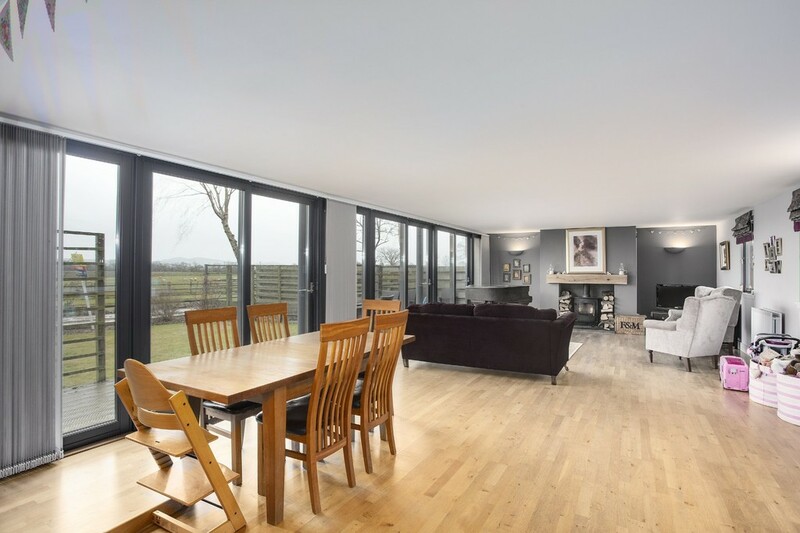 There is also two further large open picture windows within the kitchen area, again south facing and affording magnificent views. 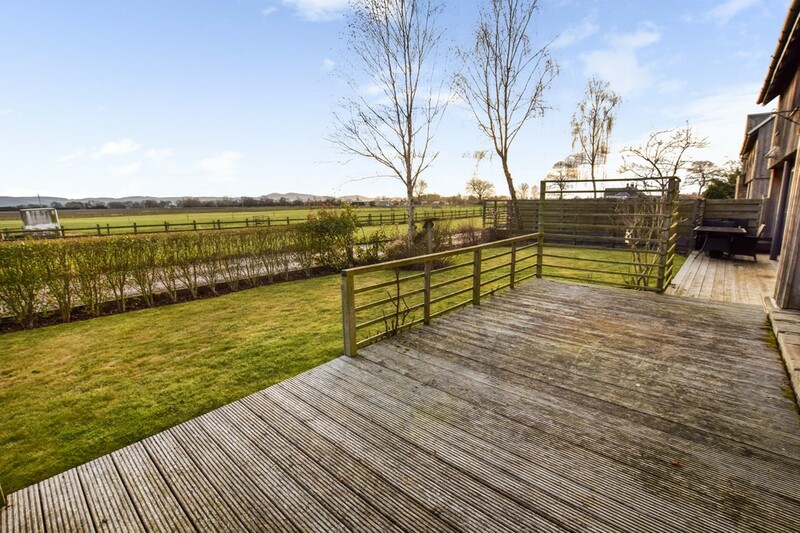 There are three sliding doors leading to the front of the property where there is an area of decking which is ideal for socialising and relaxing during the summer months. 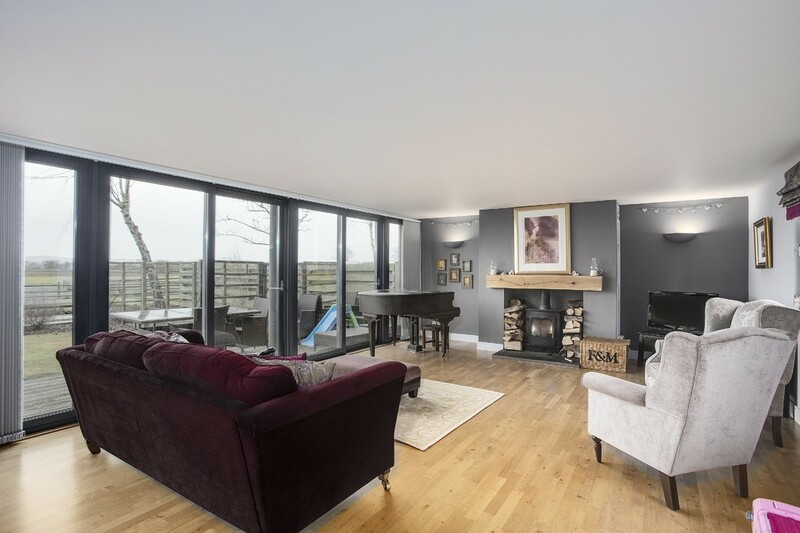 A feature of the room is the open fireplace fitted with a wood burning stove. 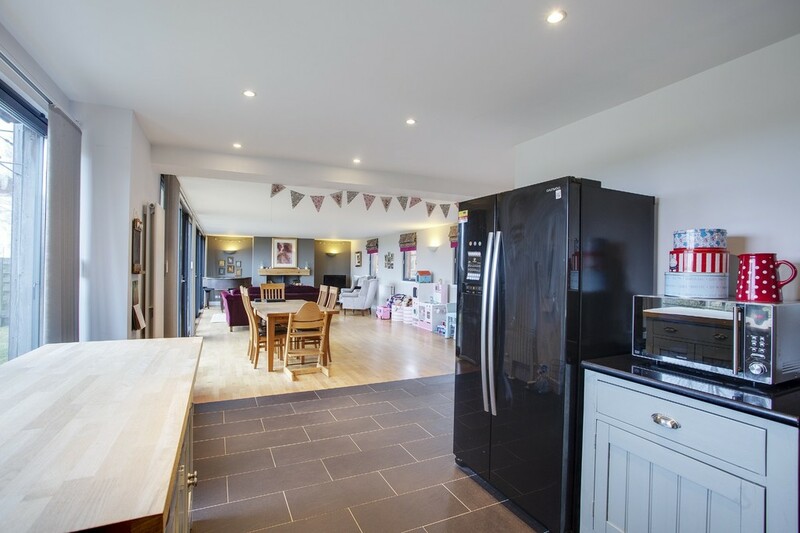 Within the kitchen area there is tiling to the floor and within the dining and lounge area there is hard wood flooring. Three radiators. 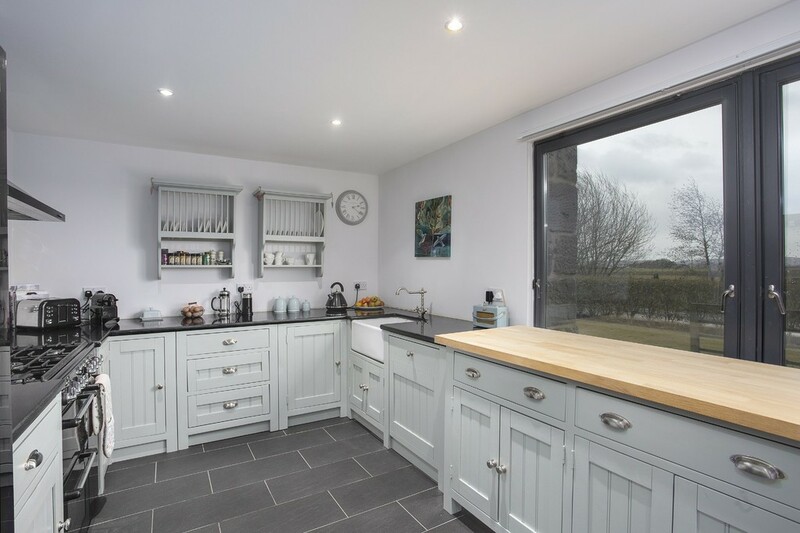 The kitchen has been recently upgraded and fitted with a range of units with contrasting work surfaces. There is a Smeg free- standing Range Cooker with five ring gas burner hob and extractor over. Space for fridge/freezer. Tall radiator. Inset lighting to the ceiling. Belfast sink. 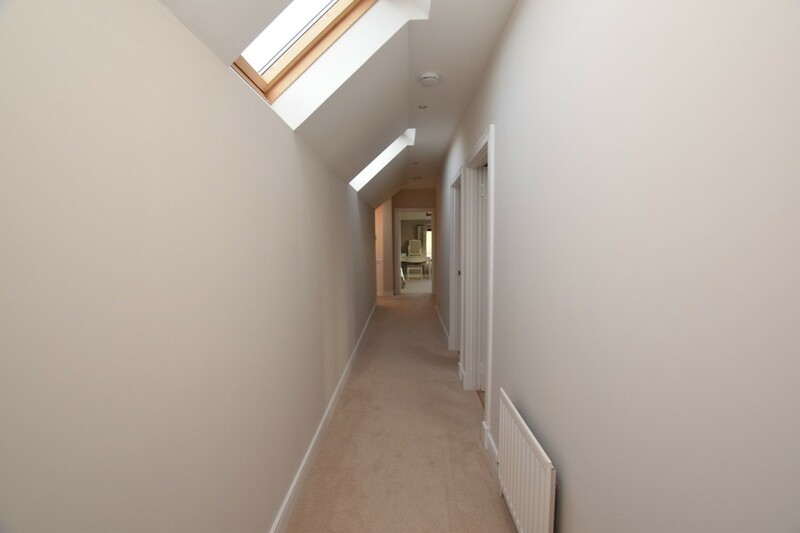 LANDING 28' 1" x 12' 11" (8.56m x 3.94m) A carpeted staircase provides access to the upper floor landing where there are three Velux windows providing additional light. Two radiators. Smoke alarm. Inset halogen spotlights to the ceiling. 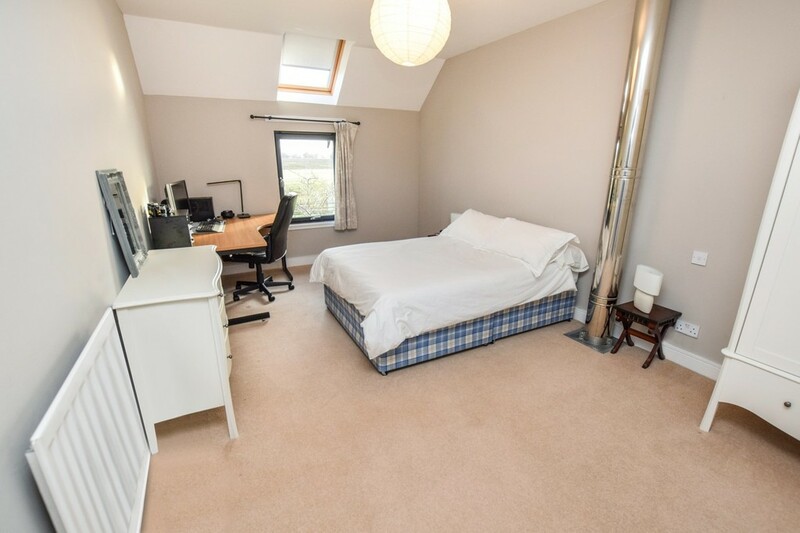 BEDROOM 1 17' 1" x 11' 6" (5.21m x 3.51m) A very bright and spacious master bedroom with ample natural light and dual aspect windows to the front and side of the property which also provide lovely views over the surrounding countryside. 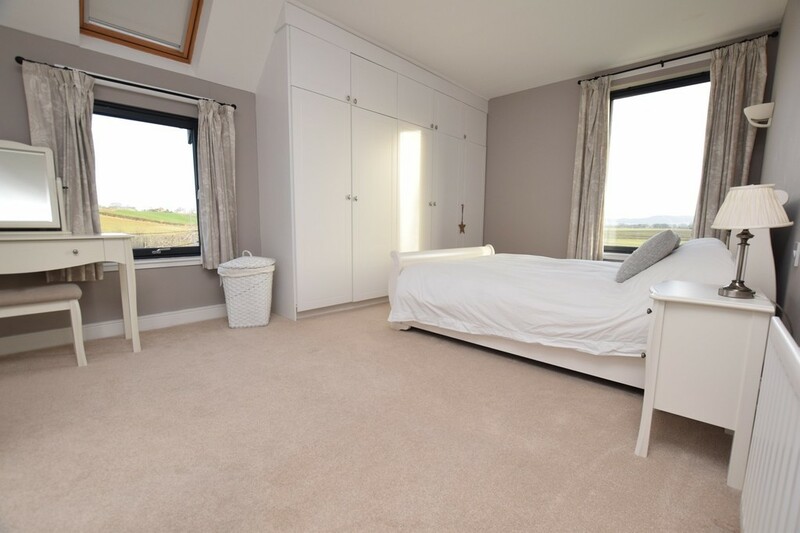 There are fitted wardrobes with shelving and hanging rail and additional storage over. Carpet. Radiator. Television point. 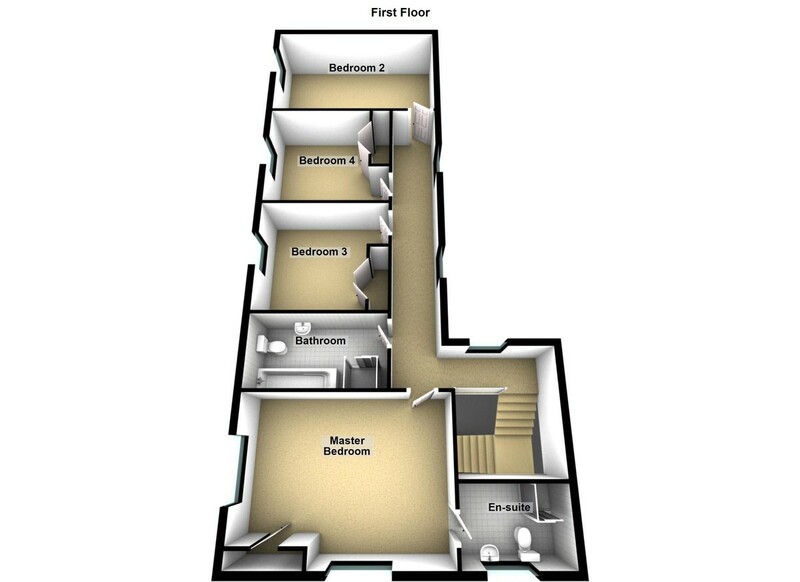 EN-SUITE 8' 3" x 5' 7" (2.51m x 1.7m) Fitted with a white suite comprising: W.C., pedestal wash hand basin and wide shower cubicle. There is partial tiling to the walls and complementary tiling to the floor. Velux window. Recessed shelving for display storage. Radiator. 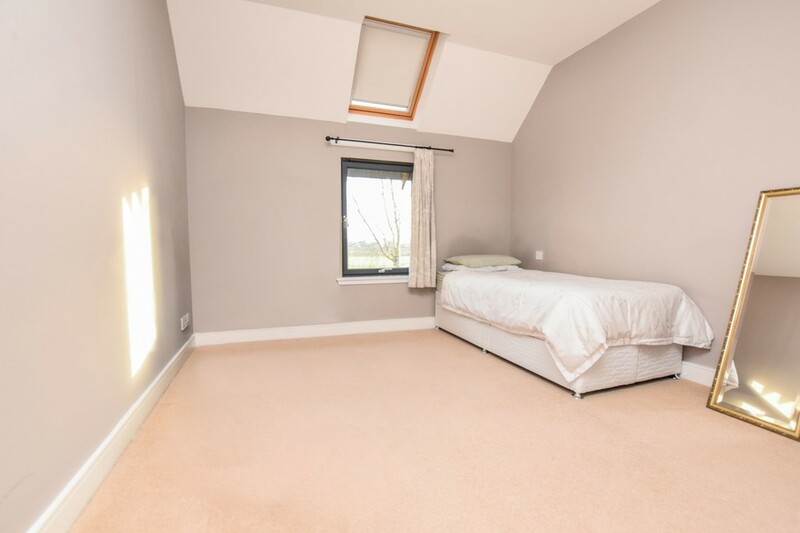 BEDROOM 2 17' 8" x 10' 8" (5.38m x 3.25m) A very spacious double bedroom with front facing window and additional Velux window above. Carpet. Ample space for a range of free standing furniture. Radiator. BEDROOM 3 13' 9" x 10' 5" (4.19m x 3.18m) A further double bedroom with window and additional Velux window to the front over-looking the countryside. Carpet. Fitted double wardrobe with additional storage above. 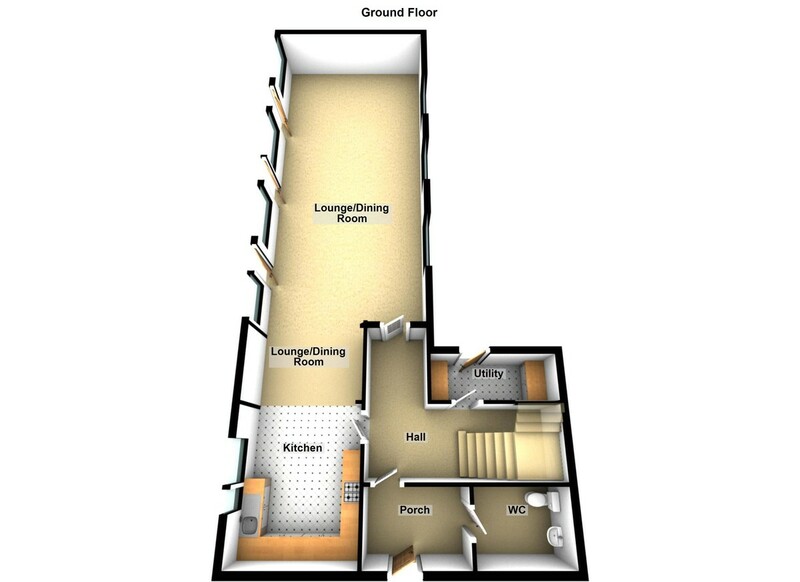 BEDROOM 4 13' 9" x 10' 5" (4.19m x 3.18m) This double bedroom is a mirror image to bedroom 3 and has ample space for a selection of bedroom furniture. Carpet. Front facing window with additional velux window overlooking the countryside. Fitted double wardrobe with additional storage over. Radiator. BATHROOM 11' 8" x 6' 6" (3.56m x 1.98m) A family bathroom fitted with a four piece white suite comprising: W.C., pedestal wash hand basin, shower cubicle and bath. There is partial tiling to the walls and complementary tiling to the floor. Fitted storage cupboard. Velux window. Inset halogen spotlights. Access to the loft. 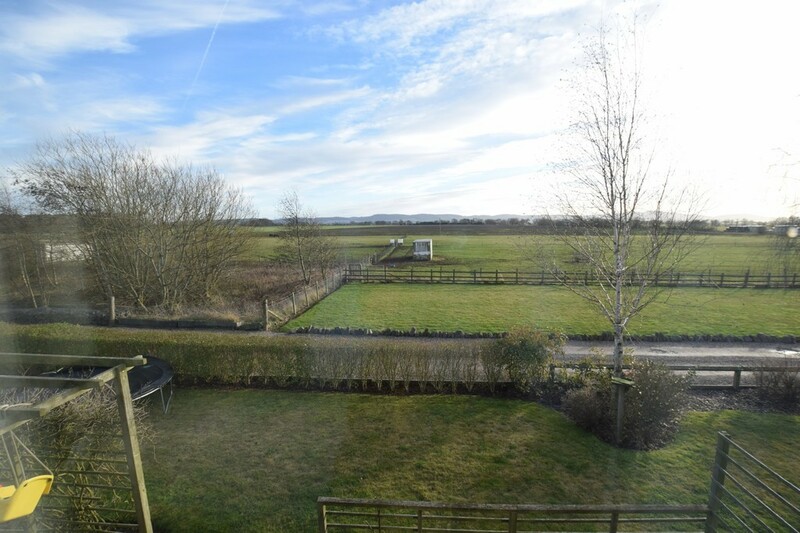 EXTERNAL The property is situated within sizeable garden grounds on the corner of the development. The garden is enclosed within a mixture of timber fencing and hedging and is predominantly laid to lawn with planted borders. There is a large area of decking providing an ideal haven for relaxation and socialising during the summer months. There is a garage and ample parking pertaining to the property. Within the garage there is a mezzanine level for additional storage. 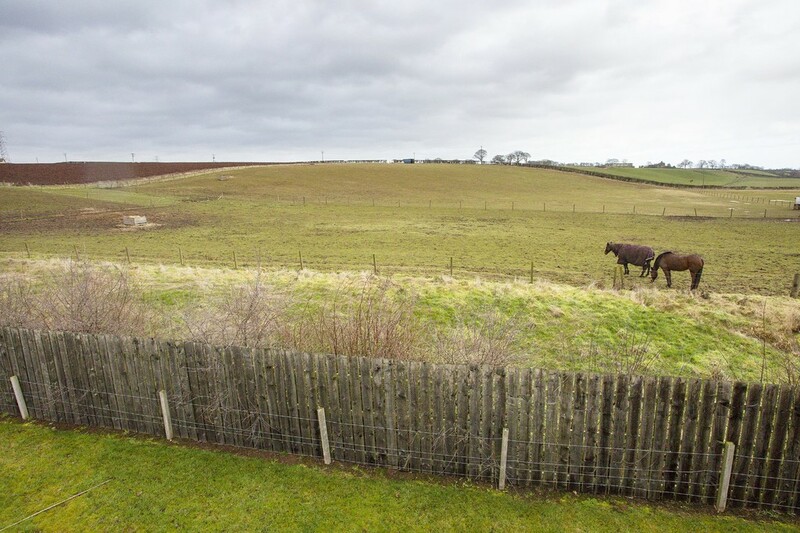 There is an opportunity to purchase an additional area of land (approximately 0.4 hectacres) which could be used as a small paddock and is located to the rear of the garages. The ground is enclosed within timber fencing and is laid to lawn.